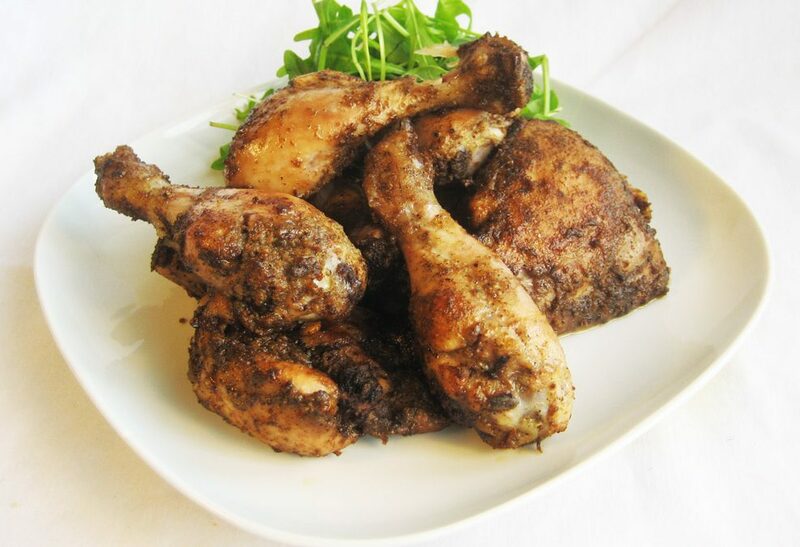 Massage chicken thighs with olive oil and Tan Rosie’s jerk rub. Cover and leave to marinade for at least 2 hours or overnight. Place Chicken thighs in a roasting tin, cover with foil. Place roasting tray in oven and roast for 30 minutes. After 30 minutes remove foil and continue to roast for a further 15 minutes. After this process remove from oven and place on a serving platter and cover. To create the sauce, pour chicken to roasting tin and mix through with the pan juices, reduce down to thickened consistency. Pour Sauce over chicken thighs and serve.